Saltgrass Steakhouse Honey Butter - you can use this on muffins, or our beer bread. Home » Bread Recipes » Saltgrass Steakhouse Honey Butter – you can use this on muffins, or our beer bread. Saltgrass Steakhouse Honey Butter – you can use this on muffins, or our beer bread. This goes perfectly with the Shiner Bock Beer Bread but it can also be used for other things. Like over fresh warm muffins. Make the Saltgrass Steakhouse Honey Butter at home with this copycat recipe. 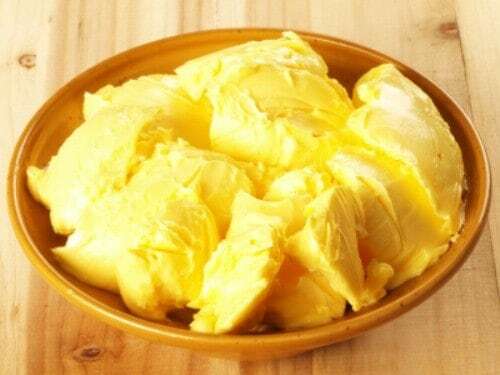 In small food processor or blender whip butter, milk, and honey. You must whip the ingredients until they lighten in color and turn a light cream color. Shape with melon ball. Cover and refrigerate until served. You may also omit the honey and serve with your favorite bread or rolls. I love their butter! I will make this next time we have a dinner!